THE PLAYDATE IS SOLD OUT! 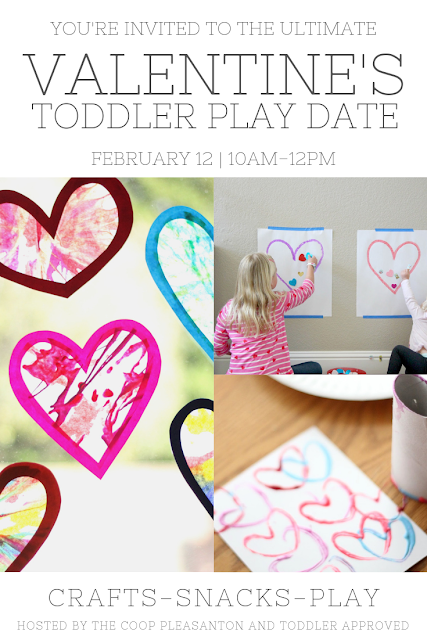 If you'd like to be added to the waiting list, email us at toddlerapproved@gmail.com. 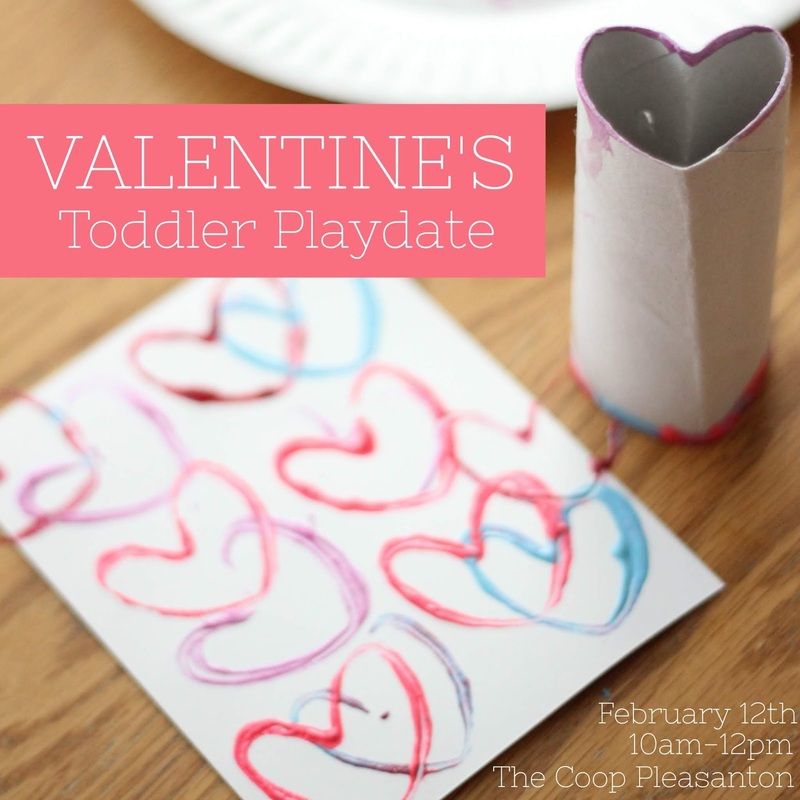 Come join us at our Valentine's Toddler Play Date at The Coop Pleasanton! It is going to be AMAZING! Friends in the Bay Area! My toddler and I are so excited to meet you! Come spend the morning with us! This is your excuse to get out of the house and get everyone dressed. 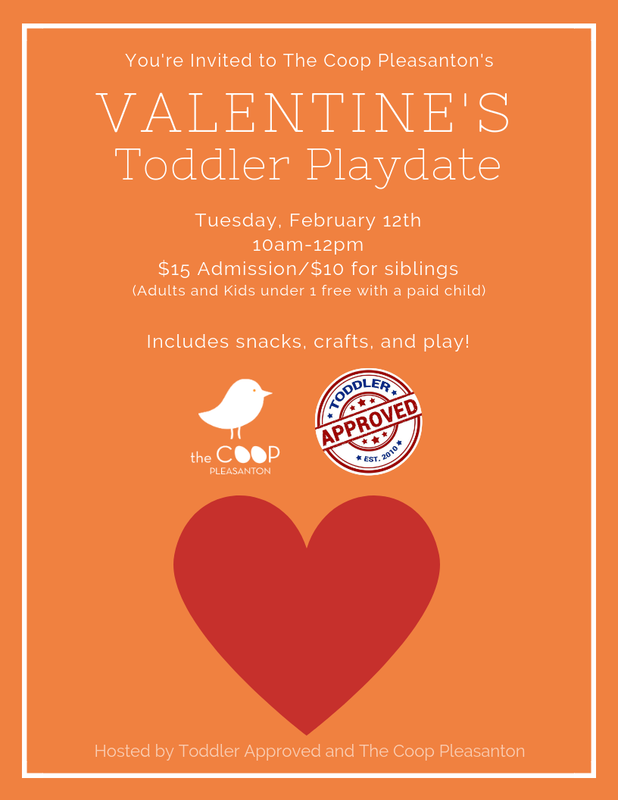 We'll do some toddler-friendly crafts and activities, play in the ball pit, jump in the bouncy house, and eat some yummy snacks! We'll also have some time to chat about life with toddlers and learn from each other. My goal is to make your kids so tired that they conk out on the drive home or get to bed early for you! If you know you want to come, we encourage you to book early and reserve your spot. $15 Admission/$10 for siblings (Adults and kids under 1 are free with a paid child). Please shoot me an email (toddlerapproved@gmail.com) if you're bringing an under 1 child so we make sure to account for them in our numbers. * Note your tickets will be automatically sent to you after you purchase. Make sure you download them to your device following the directions. Email me with any questions about purchases: toddlerapproved@gmail.com. Your tickets will go to the email you enter, so please make sure you double check what you type so you receive your tickets. Need a few more details? 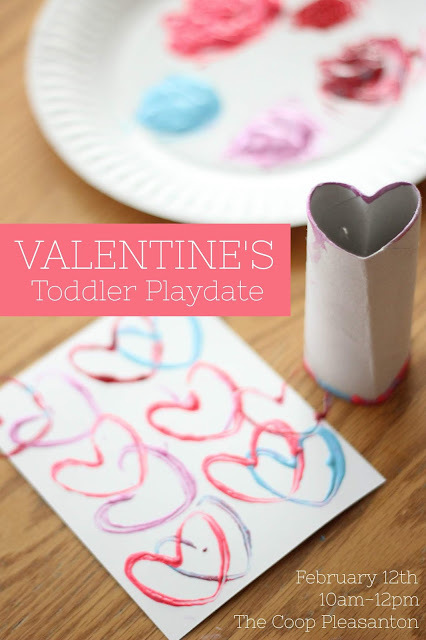 Read all about our Valentine's themed play date below! WHEN IS THE VALENTINE'S PLAY DATE? Tuesday, February 12, 2019 from 10am-12pm! Come spend your morning with us! I promise you it will TOTALLY be worth dragging yourself out of the house and getting everyone dressed! WHAT HAPPENS AT A PLAY DATE? So much FUN stuff! When you arrive, you'll get a little activity card so you know about the different craft and art activities that are available for you to try with your kids. 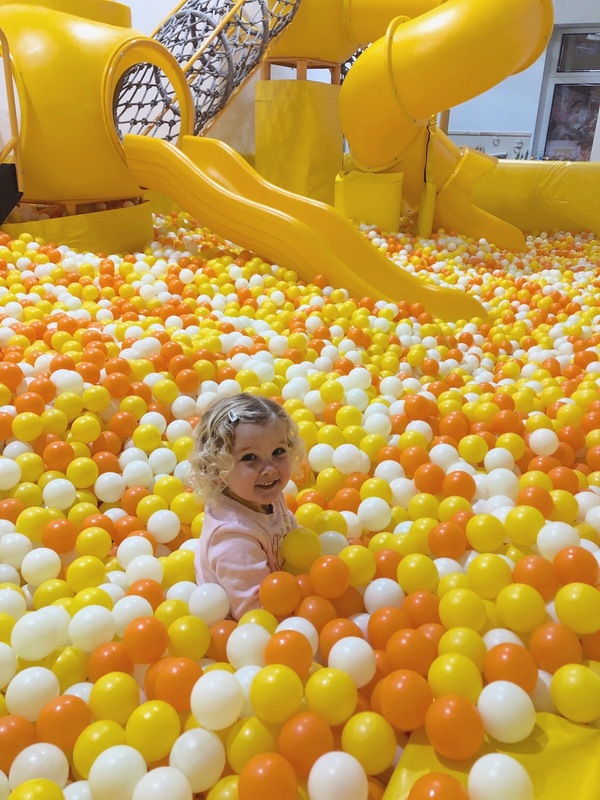 Most kids will want to go straight for the ball pit though! That is totally fine. The goal of the event is for you and your kids to have fun and try something new! At some point during the event, you can also show them some of the simple Valentine's Day themed activities we'll have available. We'll also have a hydration station and snack station to help keep there energy up. All of that moving can be exhausting! At the playdate you can come chat with me, visit with friends, meet new friends, or just find a cozy spot to catch up on Instagram while I entertain your kids. It is your call! These are always the highlight of my month! WHO CAN COME TO A TODDLER PLAY DATE? Our Toddler play date activities are designed for kids ages 2-4 but the majority can also be adapted for younger toddlers. Little siblings are welcome to join in with adult supervision! WHERE IS THE PLAY DATE HAPPENING? The Coop Pleasanton is co-hosting this play date with me and is allowing us to enjoy their gorgeous play space! Check out the photos below so that you can get a feel for the space. 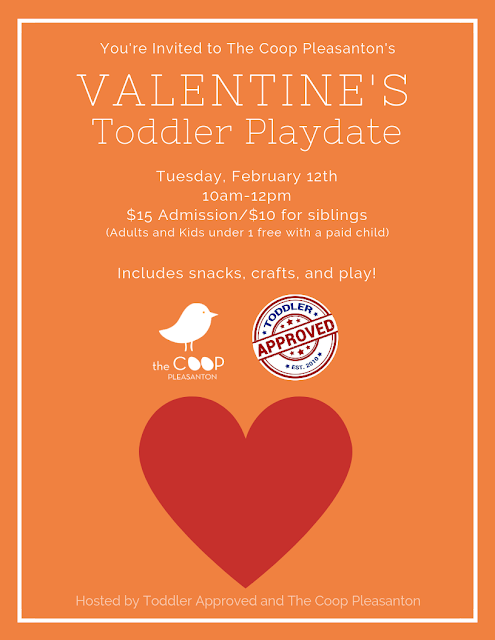 Our Valentine's Day Play Date is a private event hosted at The Coop Pleasaton. There is limited space, so make sure you book early to reserve yourself a spot!